Dan focuses his practice on complex federal, international and state tax issues in both planning and controversy matters. 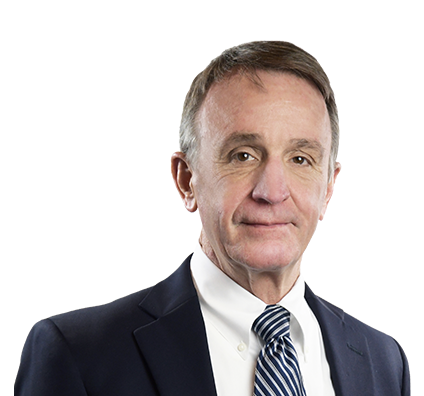 He has represented numerous individuals, partnerships and corporations in a wide variety of tax audits, administrative appeals and litigation. In addition to civil and criminal tax controversy matters, Dan has focused on complex business transactions, including purchases, sales, mergers, divestitures and restructurings. As part of his focus on international tax matters, he has assisted numerous clients in structuring offshore activities, whether through expansion or acquisition of existing businesses. He has also advised numerous foreign businesses on structuring their U.S. activities. Representing taxpayers in the reporting of undisclosed foreign bank accounts. Advising numerous individuals and entities on transferring real estate to real estate investment trusts, primarily public companies. Representing a German oil refinery in entering the United States by partnering with an existing operation and then investing $50 million for a new refinery plant. Daniel is also a certified public accountant. Represented owners in $12 million sale of 16 Wisconsin cemeteries and a granite monuments business to NYSE-traded company. Represented a number of taxpayers in the reporting of undisclosed foreign bank accounts, through both the IRS offshore voluntary disclosure initiative and on audit. Experience Profileassistance included corporate work and determining the optional tax structure from both a U.S. and foreign country perspective. Represented numerous foreign investors entering the United States, including structuring of inbound investment and negotiation of agreements with U.S. partners. A representative transaction is a German oil refinery entering the United States by partnering with an existing operation and then investing $50 million for a new refinery plant. Advised several foreign investors, individuals and otherwise, on structuring acquisitions of real estate in the United States. Handled the tax structuring and planning of many business acquisitions, ranging in size from$100,000 to $500 million. Previously served as legal counsel for a Fortune 500 company in completing business acquisitions. Lead corporate lawyer for eight years on all domestic and international business acquisitions, ranging in size from $750,000 to $185 million. Represented numerous clients in tax-deferred exchanges, including a property exchange involving more than 100 properties. Represented numerous individuals and entities in transferring real estate to real estate investment trusts, primarily public companies. Drafted numerous complex partnership agreements and operating agreements, joint ventures with both active members and equity investors. Represented numerous clients in selling or donating conservative easements both through tax planning and working with various land trusts, ranging in size from several hundred thousand dollars to $4 million. Advised medical professionals in structuring the sale or combination of their medical and dental practices. This included determining the best tax structure, negotiating the acquisition or merger agreements and assisting with the ongoing employment relationships after closing.